Aoede Receives Indie Music Channel Award for Best Pop Demo! 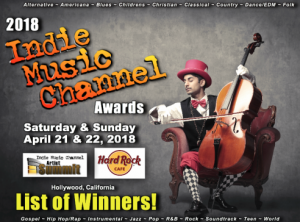 23 AprAoede Receives Indie Music Channel Award for Best Pop Demo! 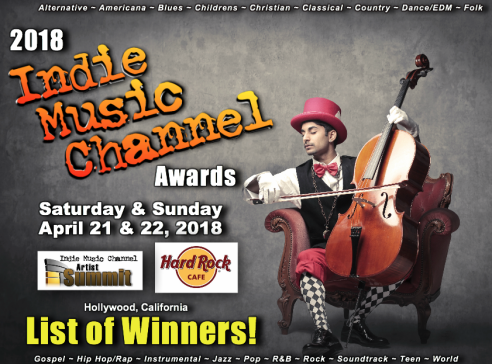 Honored to have received an award-Best Pop Demo-for Aoede’s new unreleased song: “Brand New Day” from the Indie Music Channel at their April 22nd Indie Music Channel Awards show at Hard Rock Cafe in Los Angeles! Aoede also received three nominations for new unreleased songs in Pop and Special Demos (“Take Back (Your Voice)” and “Feels Like Summer”)!